About: Beautifully set in the rolling countryside of South Gloucestershire, this charming county manor house provides a friendly and welcoming atmosphere to ensure a relaxing and memorable stay. With parts dating back to the early 14th century, Rangeworthy Court was completed in 1664 and now offers 13 comfortable guestrooms, all of which enjoy views over the mature private gardens. It also features comfortable, relaxing lounges, an outdoor pool, beautiful courtyard and an elegant dining room. Rangeworthy is conveniently located on the B4058, with efficient access from the M4 and M5 motorways. 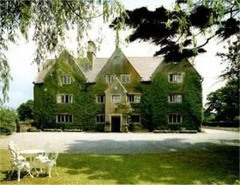 It is within easy reach of the famous Cotswolds, the Wye Valley and the Royal Forest of Dean. The bustling centres of Bristol and Bath are also nearby.